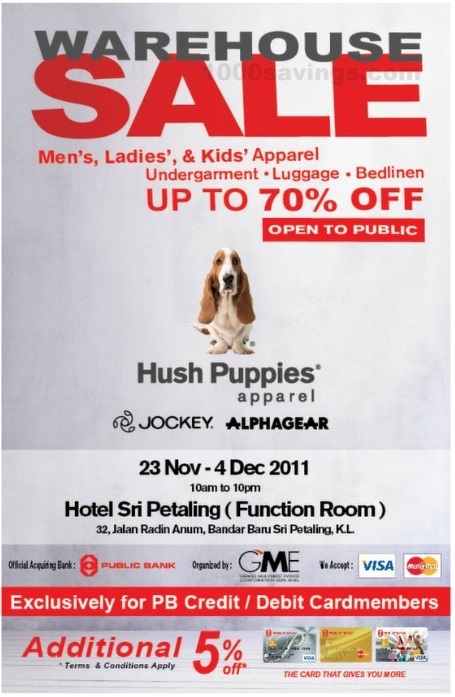 Crazy over Hush Puppies Apparel? JOCKEY? ALPHAGEAR? 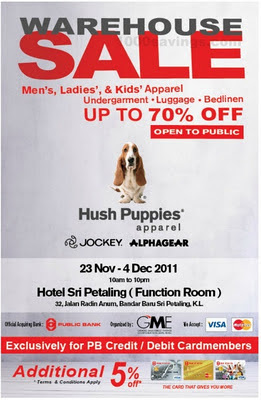 There's another warehouse sale around the corner! Share this great offer with your friends through Facebook!